Kyiv - An independent platform initiated by WWF in Ukraine aims to build constructive dialogue about hydropower between representatives of the government, business, scientists, environmentalists, energy engineers, civil society organisations and specialized media. For a period of three months, working groups will search for sustainable solutions, share experience and knowledge, and discuss strategic development of hydropower in Ukraine to achieve a common vision. More than 20 representatives from governmental and scientific institutions, 30 representatives of business, and 20 civil society experts gathered at the first forum event in May 2018 to discuss the development of hydropower in Ukraine. Two working groups were formed: one to develop environmental criteria and standards for small hydropower and the second to develop a methodology for identifying particularly valuable rivers, where the construction of small hydropower plants should be prohibited. “We need to work together to achieve scientifically grounded and balanced solutions for the development of hydropower in the country. We see there is huge interest in the topic - this as a good sign for the development of the platform in the future,” said Svitlana Matus, Policy Officer at WWF in Ukraine. 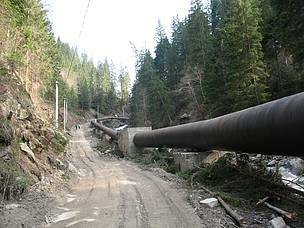 The hydropower platform will seek among things to address social and environmental issues caused by unsustainable development of large and small hydropower plants in Ukraine. All participants are invited to give proposals for sustainable development strategies, to discuss implementation of urgent measures and find solutions to reduce social and environmental pressure. The working groups gathered in June 2018 and will continue their work over the next three months. In the autumn of 2018, the Second Hydropower Platform Forum will be held, where the results of the group’s work will be presented. Small hydropower plants built without environmental assessments cause excessive harm to the especially valuable river ecosystems of the Carpathian region.